Do Women Have To Buy Expensive Jewelry? A cynic is someone who knows the price of everything and the value of nothing. So said Oscar Wilde, and his words have stood the test of over a hundred years. It sometimes seems in today's society that the number of cynics is on a constant rise. The level of shaming aimed at people who wear clothes, jewelry and other items that cost less than the Earth can be quite shocking. It's fair to say that this kind of shaming is aimed disproportionately at women. If a man wears a shirt that cost roughly as much money as he earned in a couple of hours, his friends will nod and say "nice shirt". If a woman wears a blouse that cost less than a small house, someone will have something less than complimentary to say. It's a shame. It's not enough for some people that a garment looks nice, it has to be expensive. Fortunately, this type of snobbery is increasingly matched these days by a fightback that says "I'll wear what I want, thanks". This mindset is dedicated to the idea that it doesn't matter what it cost. If you wear it with confidence and accessorize right, then the sharp words bounce right off it. People will still have their snarky comments, but they don't really hurt when you don't care. This mindset is coming into its own where jewelry is concerned. Anyone who has spent much time in a mid-to-high end jewelry store will know how absurd prices can get. While certain pieces do call for more outlay - no-one should ever propose with a ring that they bought with the change from their bus fare - not all do. Picking jewelry that you like the look of is much more important. The basic rule is that you have one or two pieces of each kind - rings, bracelets, whatever you like to wear really - that are show-stoppers. 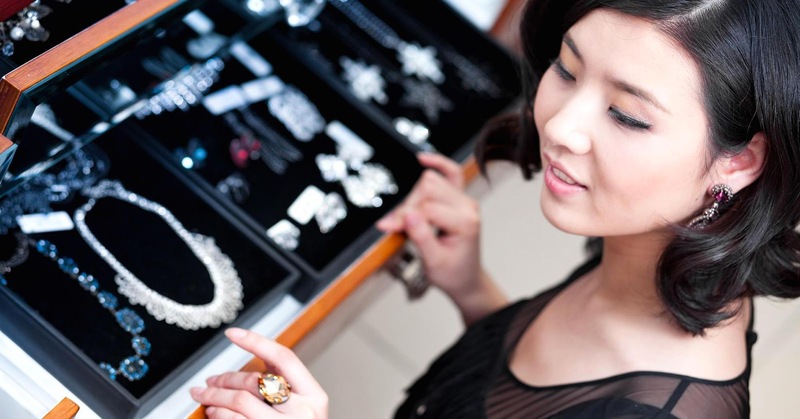 For the rest of your jewelry box, it's a matter of finding things you like for a low cost. In the end, it's most important that you find them charming - you'll be the one wearing them. Unless you're dressing for big occasion impact, a captivating ring from a company like ELF-925 is more than fine. When it comes down to it, jewelry for a night out dancing or any occasion with crowds really shouldn't be the stuff that costs thousands. All of us know at least one person who has worn a piece that they paid big money for, and in the course of a night has lost it. Because the pieces are small and delicate, you won't notice immediately and by the time you do you'll have no idea where it is. So it makes more sense to pick the pieces that are right for you and give no thought to the things the cynics say. Make a lot of smaller purchases and, when the time comes to pick something really grand, you can do so without having to wince at the cost of it. It's really rather liberating to take this attitude.